Can KCOM Group maintain its 6% dividend or is it a yield trap? KCOM Group’s dividend yield is currently more than 6%. That makes it attractive, but it also puts it squarely in yield trap territory. For a high yield stock, KCOM is interesting because it’s a company of two halves. The first half can trace its origins back to the early 20th century, where it started out as the council-run Hull Telephone Department. This is a defensive but declining business, providing fixed-line telephone and internet services to the people of Hull and East Yorkshire. KCOM’s other half is an internet services business, helping large organisations with complex and long-term internet-related projects. This business is far less defensive, far more cyclical and far more likely to generate long-term growth. Can the cyclical internet services business grow fast enough to offset the declining fixed-line business? And even if it can, will the cyclical nature of that business undermine KCOM’s dividend, just when the yield is at its most attractive? 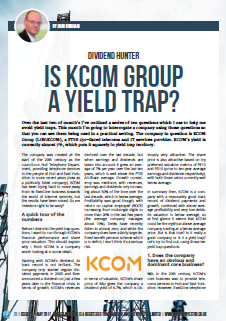 Is KCOM Group a yield trap? Great article. 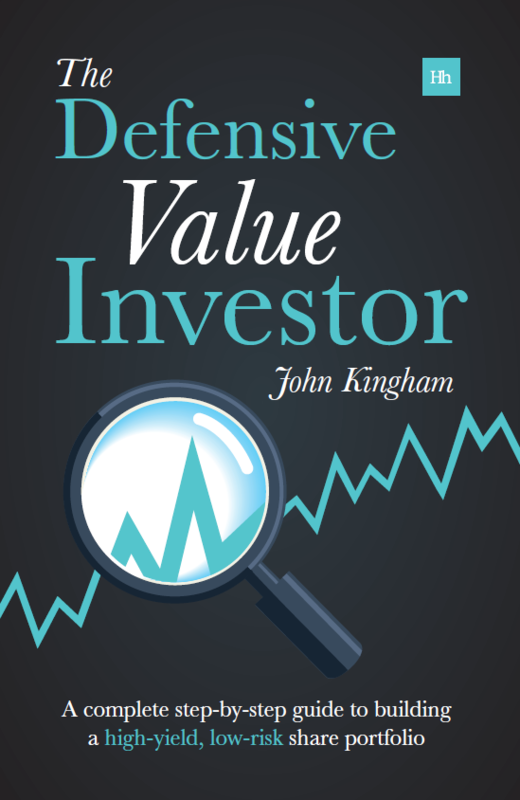 Very interesting and sensible approach that helps identify good dividend opportunities. Just two questions if I may: When you say “I think I would invest in KCOM at its current price, should the opportunity arise”, are you meaning that you would wait for a further drop in price? and lastly, do you know what happened in November/December 2016 that provoked the price to fall from a cliff? Was it the sale of their fiber optic business? Q1) “should the opportunity arise” – sorry for being ambiguous. I don’t mean that I’m looking for a lower price. What I mean is that I only buy a new stock at the start of every other month, with the next purchase due at the beginning of June. So, if KCOM is still attractively priced, and if there aren’t any more attractive options out there, I would happily buy it. However, there are other attractive stocks out there too, so I might buy one of those instead. Q2) The decline in late Nov 2016 seems to be a response to the interim results which were published at the time. I can only guess at the motivations of the thousands of investors that make up “the market”, but it looks to me as if the most likely cause of the decline was the fact that revenues and profits were lower than the previous half-year. As you probably know, the market often reacts violently to relatively small changes in a company’s financial results, and I try not to worry too much about what “the market” thinks of a particular company (I prefer to come to my own conclusions about a company’s future prospects). I agree. I own KCOM but its only a small percentage of my portfolio. I was thinking of taking it up modestly from 2% to 3 or 4%. It seems to be a better quantitative bet than Vodafone, would you agree? Hi Andrew, quantitative depends on the metrics you’re using (obviously) but personally I would agree. KCOM is number 29 on my stock screen whereas vodafone is a bit lower at 52. That’s out of a list of 230 or so stocks, so they’re both far above average. However, I own vodafone (and have done for years) but not KCOM (at least not yet). I agree with you. I generally see the Rate of Dividend and, when it is above 75/80%, I am more reluctant to invest. KCOM has also a long-term downturn in sales and operating profit, therefore, I turn my thumb down. Hi Glauco, very sensible. Most of the time a yield of 7% or more is a warning flag rather than an opportunity. But in this case I would be willing to take the risk. 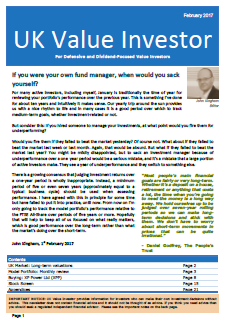 Hi John, Why wouldn’t I invest in KCOM? Number 2 is the principle reason. The statement from the CEO, apart from being overly verbose seems like nonsense to me. The Enterprise business has absolutely no moat.and as more companies switch to cloud based services, the need for complex enterprise support declines as most of the software updates, configuration etc is performed remotely and with companies like Amazon and Microsoft dominating these insdustries the KCOM’s could well be blown out of the water. The second reason is that broadband is so competitive now, that the net realisable ongoing revenue will decline as the population of Hull reaches out to deals that are cheaper than KCOM can support (i.e. churn) and as the number of new installations decline (i.e. everyone will have it pretty soon) then there is nowhere for that business to go or to grow..
3. The same reason why I probably will never invest in BT again is that fixed line long term is in decline and as 5G is taken up there won’t be much need for fixed line based broadband for many people either, so they will have the opportunity to switch off one or the other of these services. Hi LR, I agree that the CEO’s statement seems like nonsense! I’m sure it makes sense to people who work with the technology on a daily basis though; it’s just a bit jargon-rich for the layman. I have no idea what that means, but it shows that maximising the value of the cloud is certainly not a plug-and-play activity and that a lot of knowledge, skill and experience is still required. As for broadband, I sort of agree, but the end is a way off yet. The roll out of super-fast fibre is keeping KCOM ahead of other options for those who want maximum speed and bandwidth (whcih is most people these days). But yes, eventually everything will be mobile at some point, which is your last point as well. Once you can stream 10 high definition movies to a single phone all at the same time then who needs fixed line broadband? John, Having helped a friend with an IT services business doing just the kind of thing KCOM illustrate in their “business enterprise”, there are literally hundreds of these companies offering similar data integration services – my experience is that it can be pretty unprofitable at times and very patchy during stressed periods where companies will not spend more on IT services. This is already showing in their last 1/2 year presentation, where the Enterprise Business revenue declined by 9.5% year on year (Sep15-16). At the same time the rest of the business declined and the dividends and tax were just covered by operations — the restructuring costs were all funded by asset sales of “non core” stuff. The pension liability looks to me to be more than a pain – it’s defined benefit obligations grew by £72.4M, this was offset by a revaluation of the pension assets (somewhat an arbitrary measurement possibly?) to make the overal deficit rise form £16M to £44M. Given the EBITDA was £32M for the 6 month period and lets be generous and double up for the year, then you still have a chunky deficit rising into a declining business in terms of revenue and profit. (operating profit dropped 28% in 6 months). But I could be wildly wrong on my prognosis. Still I was once told by a very wise man, who shall remain nameless, that the best way to avoid trouble is not to enter into it in the first place, or words to that effect. LR — Onward and upward!! Ah well, we shall see! Of course, if everything was rosy then it wouldn’t have a 6% plus dividend yield, so of course there is a lot of uncertainty. But on balance I would be happy to invest.